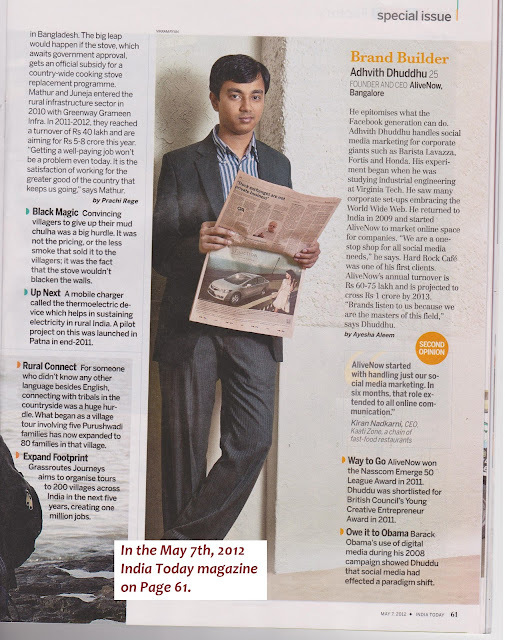 AliveNow and Adhvith Dhuddu (CEO) make it to the India Today top 20 Young Entrepreneurs list! It sure is a proud moment for AliveNow! What started as a project and sort of an experiment in Adhvith’s home library has grown to being one of India’s leading social media agency servicing brands in India and abroad. Adhvith Dhuddu, 25, is the youngest of the top 20 entrepreneurs in India Today’s list of Young Entrepreneurs in India. All credit for this tremendous achievement goes to the superb team at AliveNow who have done some fabulous work for the various brands they’ve worked on! Account managers, developers, designers, strategists and content writers are striving every day to achieve better results for clients. And of course thanks to all the clients for believing in what we do at AliveNow! Thanks also to the regular readers of this blog… we’ve amassed close to 200,000 pageviews all because of you. Given below are some snaps of the cover and the article. Adhvith Dhuddu, CEO of AliveNow featured in India’s leading magazine, India Today in the special feature about India’s top 20 young entrepreneurs. 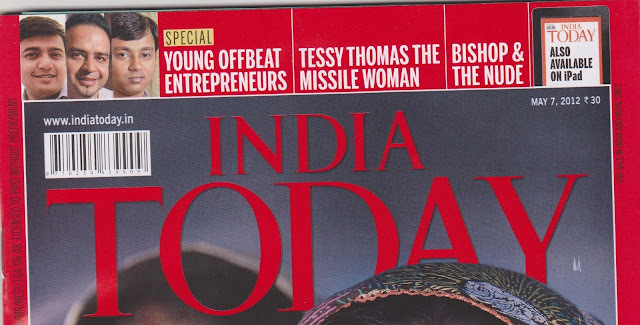 Article published in the May 7th, 2012 print edition of India Today.